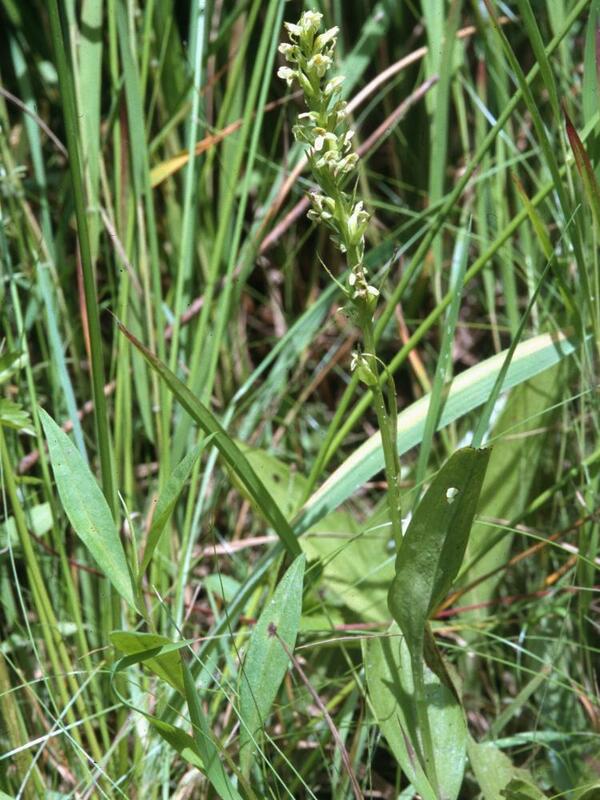 Platanthera flava, commonly known as Northern Tubercled Bog Orchid, is widely distributed across central and eastern Canada and the U.S., from Texas to Quebec. It produces 1-5 spreading, ascending stem leaves and bears an inflorescence of up to 60 small, inconspicuous, yellowish green flowers. 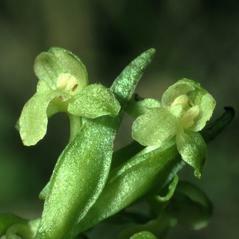 The labellum has a prominent tubercle in the center, and the edges of the labellum are often crenulate. 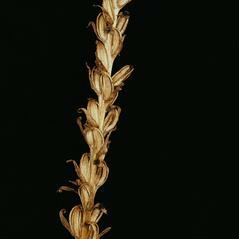 A cylindrical or club-shaped spur extends out from the back of the flower. 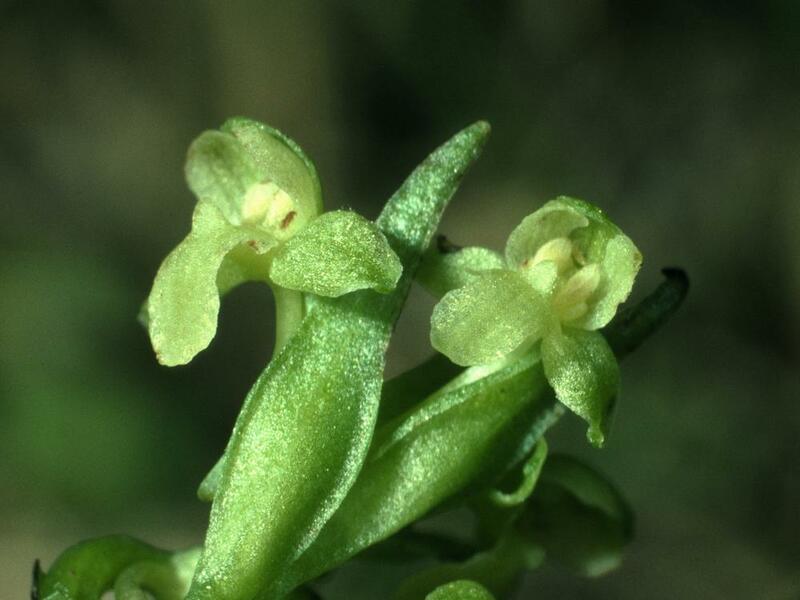 It can be easily distinguished from species with similarly-colored flowers, such as Dactylorhiza viridis, by the central tubercle on the labellum. 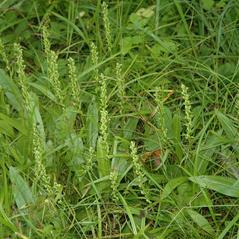 It is usually found in moist fields and meadows, floodplain forests, swamps, thickets and marshes. Because it does best in sunny conditions, natural disturbances that increase light are important environmental factors in the ecology of this species. Platanthera flava is apparently secure globally. 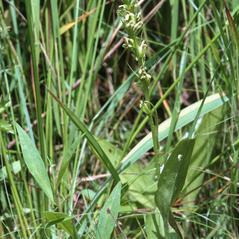 This orchid is pollinated primarily by mosquitoes in the genus Aedes and moths such as Anageshna primordialis. Finding the nectar source often takes extensive searching the flower. Once the nectary is found, a viscidium attaches to the proboscis and pollinia attaches to the sticky substance as the insect is leaving the flower. As the insect moves from flower to flower the pollinia is then transferred to the stigma of another flower. 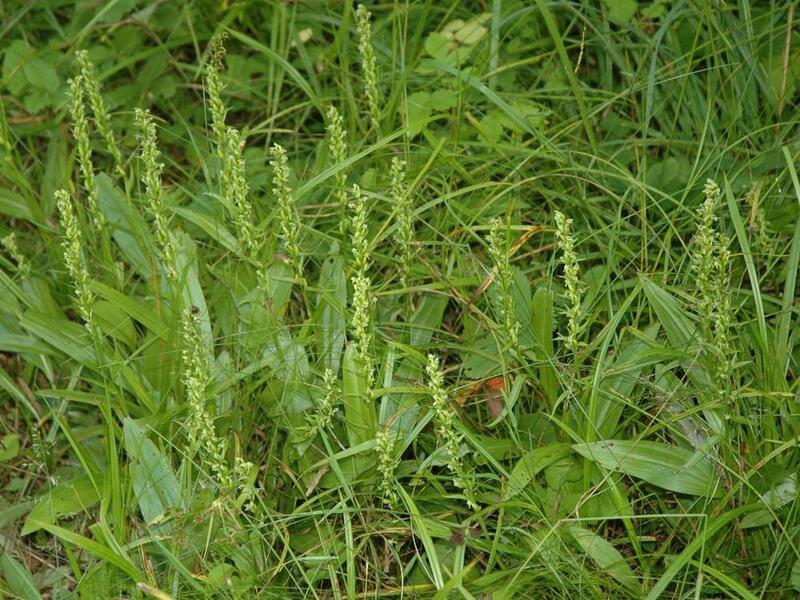 There are two varieties of Platanthera flava and while the extreme versions of these varieties are easily distinguishable, intermediate forms exist, complicating efforts at identification. 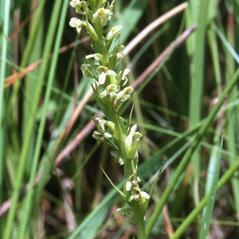 Platanthera flava var. 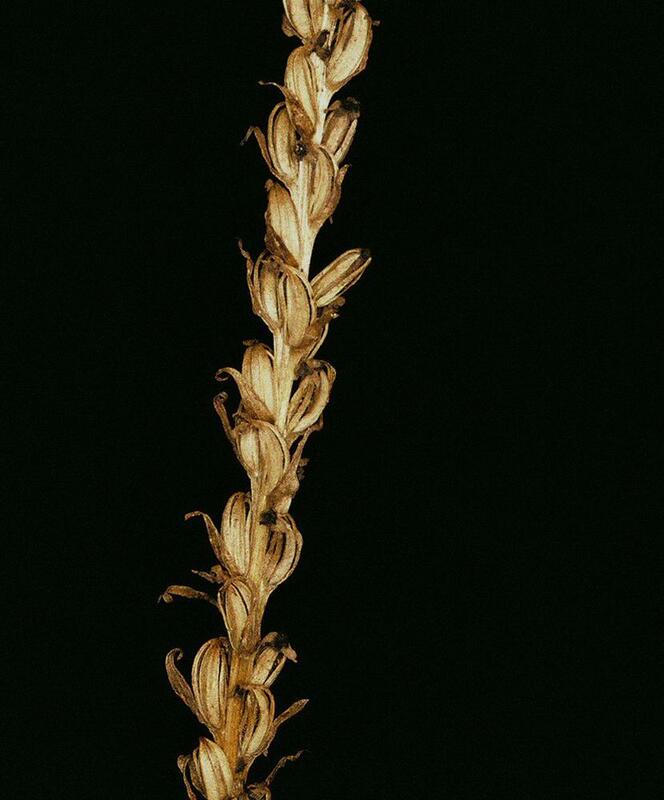 flava has a loose inflorescence, a subquadrangular, suborbiculate, or ovate labellum, and floral bracts that are shorter than the associated flower. 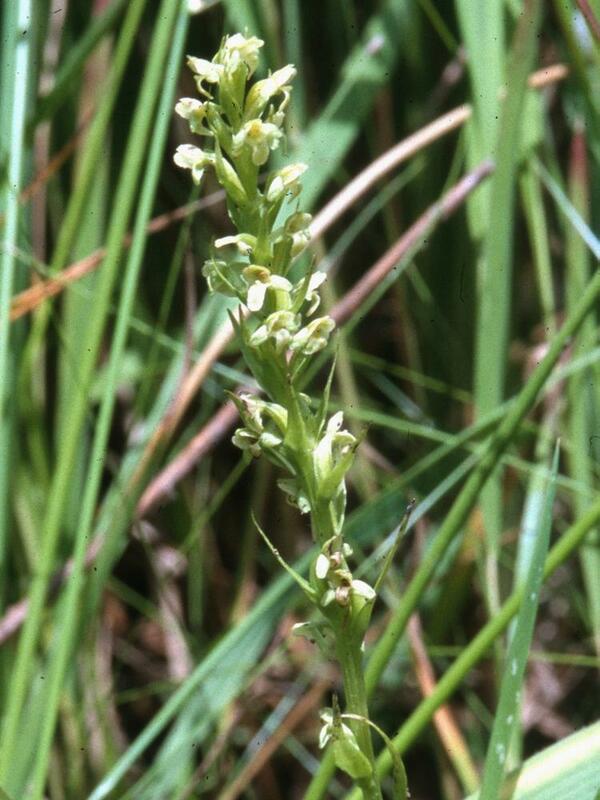 Platanthera flava var. herbiola has a dense inflorescence, an oblong or obtuse labellum, and floral bracts that are longer than the associated flower.